AT&T and HP have just announced the Veer 4G will be available on May 15th for $99 with a two-year contract. It will be available in both black and white variations onilne and in AT&T stores. Running webOS, the Veer 4G will also fully support flash and have 8gb of internal storage. For those of you holding out hope for a T-Mobile version or even a CDMA version, AT&T notes that the Veer will be an exclusive. In our hands-on with the Veer, we found it to be about as fast and powerful as the Pre 2 - which is to say that it's probably the most powerful smartphone in a package this small - the "size of a credit card and no thicker than a deck of cards," as the press release after the break notes. The Specs on the Veer 4G haven't changed since it was announced: it has a 2.6" touchscreen with 320x400 resolution, a 800MHz processor that performs better than you might expect since it's the latest-generation Qualcomm MSM7230, 8 gigs of storage, a 5mp camera, a 910mAh battery (non-removable) good for 5 hours of talk time, Quad-band EDGE and Tri-Band HSDPA+ and HSUPA Cat 6 (upload speeds max at about 5.76Mb/s) on AT&T's network, and weighs a mere 3.63 ounces. The Veer 4G also can be charged via Touchstone or via its custom, magnetic charging adapter, which doubles as a headphone adapter. Fortunately, it supports WiFi and Bluetooth, so Bluetooth headphones for the Veer are likely going to be a hot commodity. Finally, the HP Palm blog notes that the Veer 4G will support carrier billing in the App Catalog, so consumers can choose to pay for apps by having them added to their monthly AT&T bill. The new HP Veer 4G*, the size of a credit card and no thicker than a deck of cards, will be the smallest full-featured HP webOS smartphone to date and AT&T’s** first to run the latest version of webOS software. Perfect for feature phone or quick messaging phone users looking for all of the features and capabilities of a smartphone without compromising on size and style. Exclusive in the U.S. for AT&T customers, HP Veer 4G is available in black and white. HP Veer 4G will be available from AT&T at company-owned stores and online at http://www.att.com/ on May 15 and will cost $99.99 with a two-year contract. 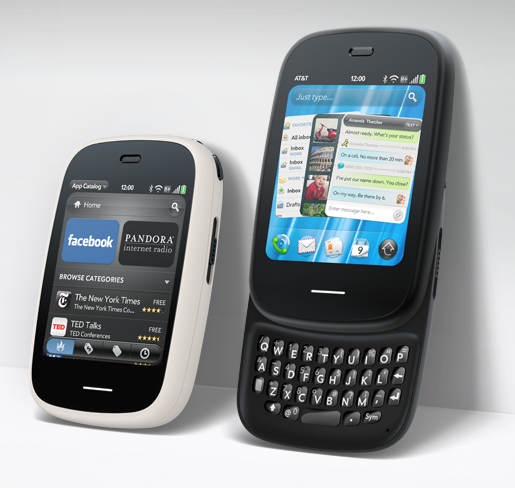 AT&T is a pioneer in smartphones and devices, and expects to widen its portfolio in 2011. In January, AT&T committed to introducing 20 4G devices by the end of the year. Available exclusively to AT&T customers, HP Veer 4G will be one of several 4G devices offered in the first half of 2011. With the HP Veer 4G, AT&T customers can have it all – access to the web, apps, social networks and more, all in one powerfully small design. For those who value size, pocketability and style, Veer offers a refreshing alternative to the larger smartphone devices that are currently in the market, without compromising on functionality. Powered by HP webOS, Veer offers an advanced browser and an incredibly fast processor for a fantastic web experience including Adobe Flash support, plus 8GB of internal user storage and a full keyboard that slides out for fast texting and email. Notifications instantly display messages, reminders, and Facebook® updates on a vivid 2.6-inch touchscreen, with instant messages, texts and pictures from the same person available all in one view. HP Veer 4G comes preloaded with several popular apps including mobile hotspot and AT&T Navigator. The mobile hotspot functionality*** allows users to share wireless internet connectivity with up to five Wi-Fi-enabled devices while AT&T Navigator**** a GPS-enabled navigation service, is designed to provide you with clear and precise audible and visual turn-by-turn driving directions, including full-color moving maps, using GPS directly from your wireless phone. If you need a little help finding your way or locating cool things to do around you, Veer also boasts built-in GPS. To learn more about the HP Veer 4G, visit www.att.com/mobilephones-news. Limited-time offer. Requires 2 year agmt., $36 activation fee, eligible voice and smartphone data plan. Early termination fee of up to $325. Smartphone Data Plan Requirement: Smartphones require a DataPlus (200MB) or DataPro (2GB) plan. If you exceed your initial data allowance, you will automatically be charged an additional $10 for each additional 1GB provided on DataPro or an additional $15 for each additional 200MB provided on DataPlus. All data allowances, including overages, must be used in the billing period in which the allowance is provided or they will be forfeited. For more details on Data Plans, go to att.com/dataplans. Sales tax calculated based on price of unactivated equipment Other conditions apply. For complete terms, see att.com/wirelessterms. ted equipment Other conditions apply. For complete terms, see att.com/wirelessterms.